At Pacific Angler we operate a prestigious fleet of Grady Whites boats with the best engines and salmon fishing gear money can buy. 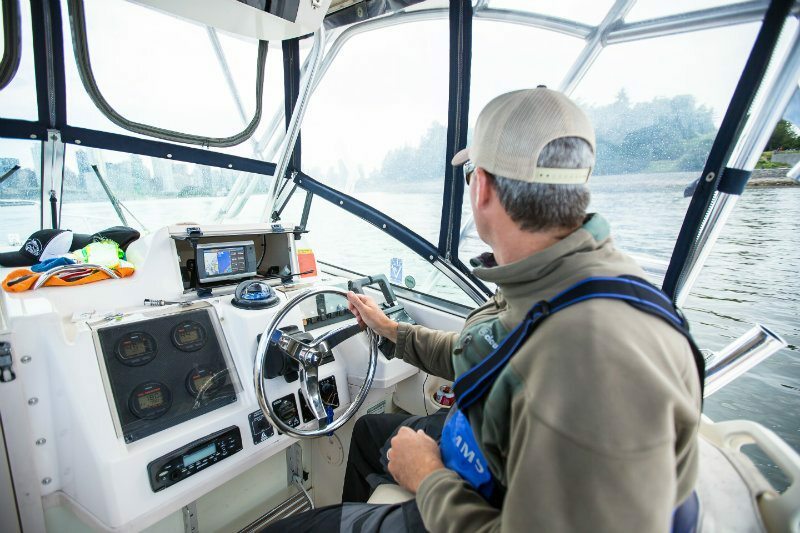 At Pacific Angler we operate a prestigious fleet of Grady White salmon fishing boats with the best engines and salmon fishing gear money can buy. 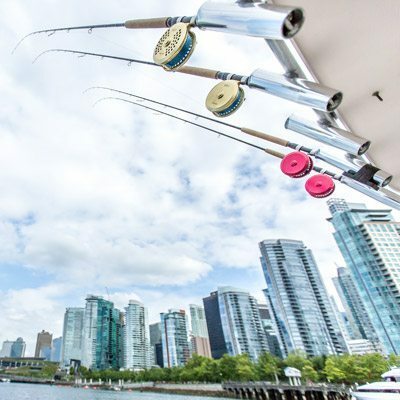 From 1-2 anglers up to multi boat corporate events, we have the right boats for your Vancouver salmon fishing adventure. Our fleet consists of 23, 25, 27, 28 and 30 foot Grady Whites as well as a 38 foot Uniflite. The legendary smooth ride of a Grady White with the premium Yamaha power will get you to the fishing grounds quickly and comfortably. The 4-stroke motors are extremely quiet and have no fumes so you can fish in complete tranquility and comfort. Our Grady Whites feature large cabins that have a head (washroom) as well as ample room to store your extra gear. These beautiful fishing machines have a large deck area specifically designed for fishing, giving multiple anglers ample room to fight their salmon. Our built in cooler will be stocked with ice packs to keep your beverages and food, cold and crisp. When it comes to gear, we like to fish the best and spare no expense on our boats, maintenance and the tackle that we outfit them with. 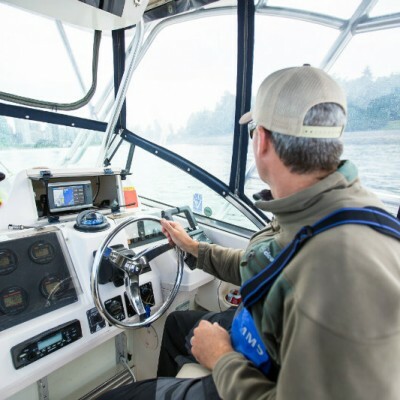 Each salmon fishing boat is expertly appointed with top of the line angling equipment like Abel mooching reels, Sage Rods, Scotty downriggers and O’Ki Tackle. Simply put there exists no better selection of BC salmon fishing gear for your Vancouver salmon fishing expedition. 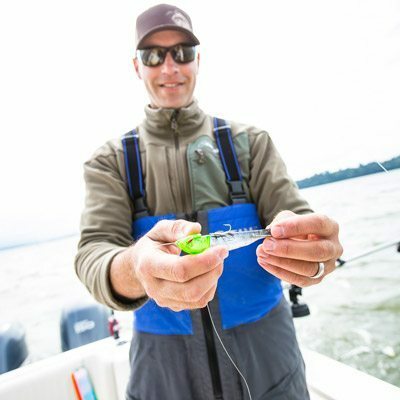 In fact, our guide team has been instrumental in working with tackle manufacturers to produce some of today’s best equipment and hottest lures used for Vancouver salmon fishing. Ready for an angling adventure of a lifetime with one of our friendly, experienced and professional guides?